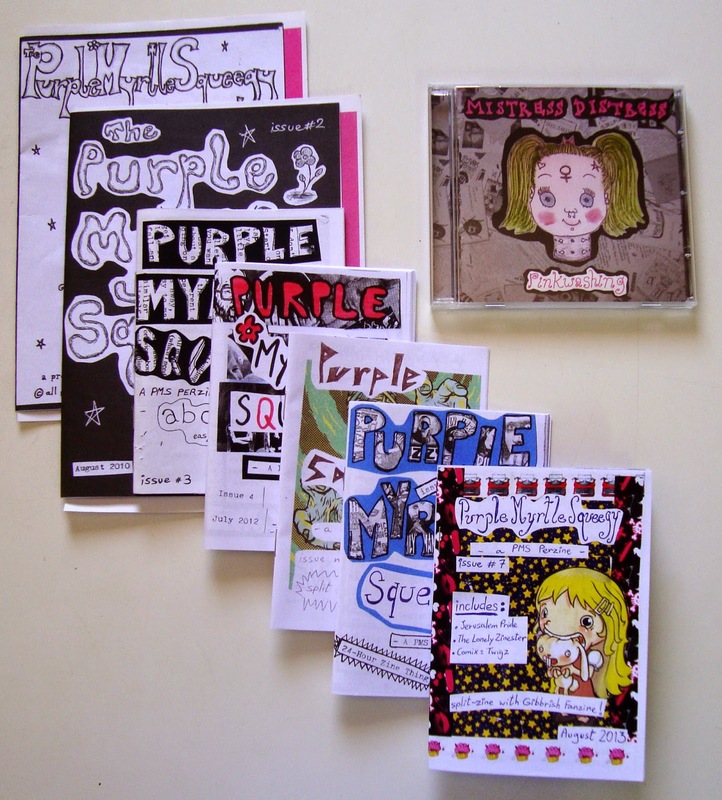 Purple Myrtle Squeegy: More Zines! A long time has passed since I wrote here. The reason I don't update this page anymore is because I am too busy updating my blog, my WeMakeZines profile, this Etsy store and this Etsy store, the PMS Facebook page, and of course my own Facebook page (for which I will post no hyperlink because I don't like random strangers sending me friend requests). But yes, I ought to update this page too since Purple Myrtle Squeegy is the only zine I am now running and I'm having a total blast doing it too. 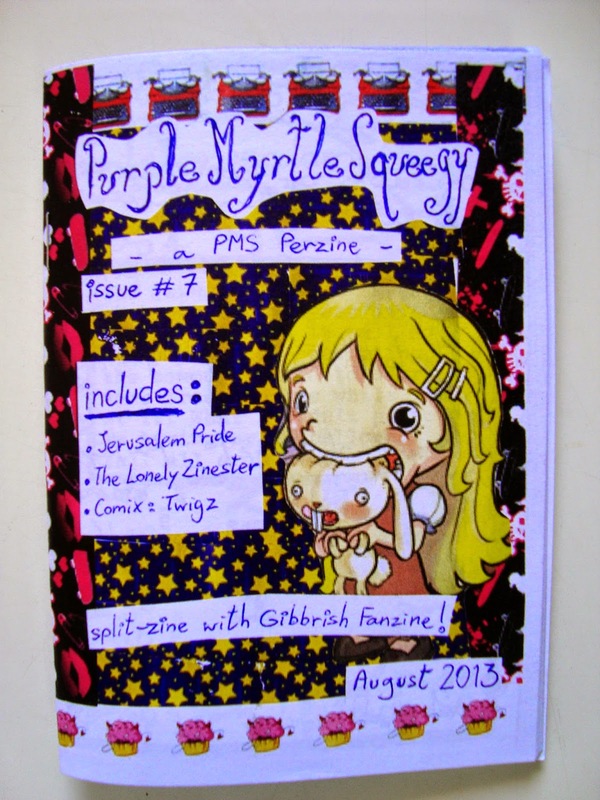 Since the last post, I published issues 5, 6, 7 and 8 of PMS Perzine, and they are all up for trade. You may contact me at fallopian.falafel@gmail.com if you're interested. 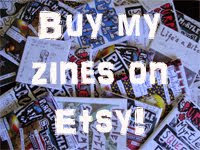 They are also all up for sale at my Etsy store. All purchases on this store come with a free surprise, so head on down to the shop and buy DIY!